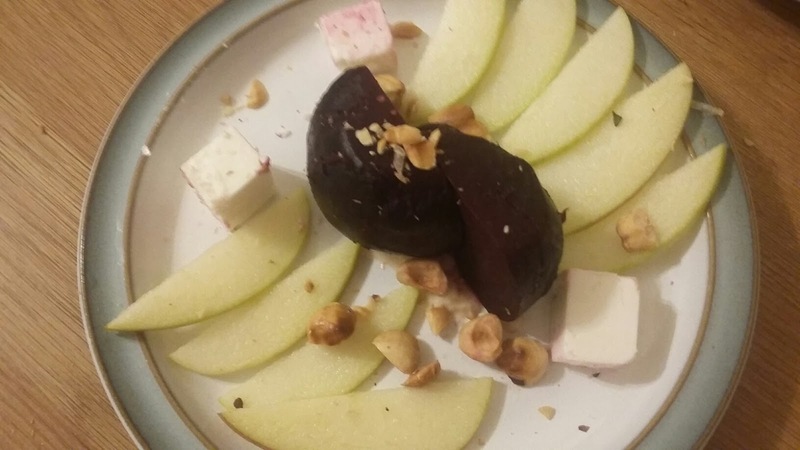 Notes from Ladysmock Cottage: Salt Baked Beetroot with Rosemary, Feta, Apple, Horseradish and Hazelnuts. Salt Baked Beetroot with Rosemary, Feta, Apple, Horseradish and Hazelnuts. For this Recipe you need to make a rough pastry, that will not be eaten, to roast the beets in. The amount of pastry you will need depends on the size of the beets. 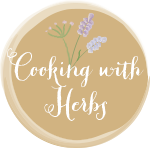 First blitz about six rosemary sprigs and around 150g of course sea salt in a food processor then add 300g of plain flour, two egg whites and around 200ml water. Blitz again to bring together into a rough dough. Kneed the mixture on a clean surface for around five mins to form a smooth ball, wrap in cling film and chill in the fridge for about an hour. Pre heat the oven to 160C. Roll the dough out to the thickness of a pound coin. Top and tail the beetroots, but dont peel, place on the pastry and cut round the beats draw up the pastry to encase the beets and seal the top by pinching together. Place on a baking tray for 30-50mins depending on the size of the beets - when a sharp knife goes into the beet with out much effort they are ready. Its best to slightly under cook as they will carry on cooking after they are removed from the oven and its also nice to serve them warm and soft on the outside with the middle slightly firmer. While the beets are cooking dry toast some hazelnuts in a pan. finely slice a cored apple and roll in lemon juice. After removing the beats from the oven allow them to cool a while before removing from the pastry and peeling. Slice in half and plate on top of a dollop of horseradish cream (if using fresh horse radish don't use the cream and grate a fine dusting over at the end. Place the sliced apple and cubes of feta cheese around the beet and scatter with the toasted nuts.